but we play FABULOUS WEDDINGS! 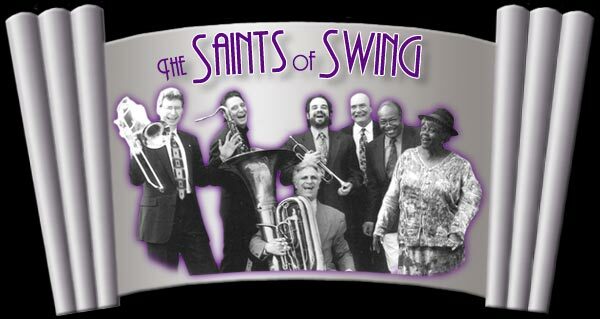 Let the SAINTS OF SWING turn your party into an event you'll remember for a lifetime. Fresh... exciting... this Hudson Valley/New York Metropolitan area-based "Ultimate Party Band" is big-time fun, performing the best of swing, ballroom music, Dixieland Jazz and down-home blues--at surprisingly down-home prices. Visitor 271465 since March 1st, 2002.